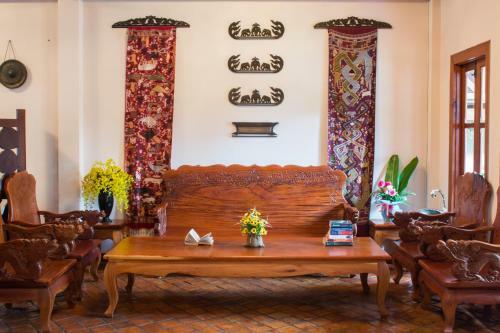 Muang Thong Hotel is located on the outskirts of Luang Prabang City Centre, a 10-minute walk from Mount Phousi and Royal Palace Museum. Free parking and a pool are provided. A variety of cafes and bars are available an approximate 10-minute walk from Hotel Muang Thong. Luang Prabang International Airport is a 20-minute drive away. 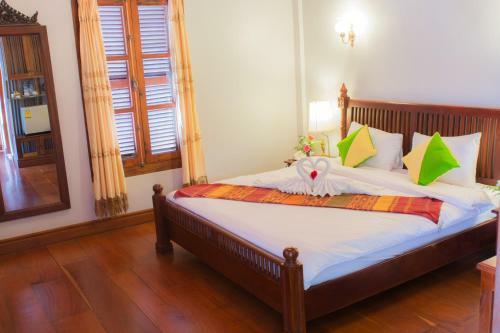 Rooms are colourfully decorated in traditional Laotian fabrics and with wooden furniture and fixtures. 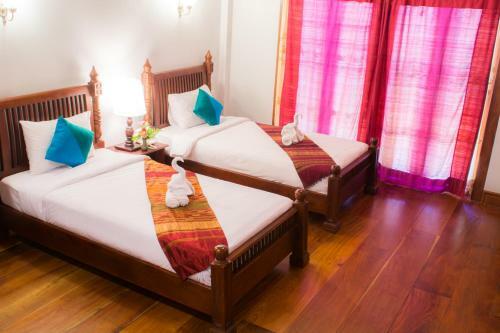 Fitted with a balcony, rooms also come with a DVD player and a flat-screen TV with cable channels. Courtyard or pool views are available. Bicycles and cars can be rented from the hotel while a tour desk arranges for guided sightseeing trips. Currency exchange and ticketing services are available. Barbeque facilities are offered. 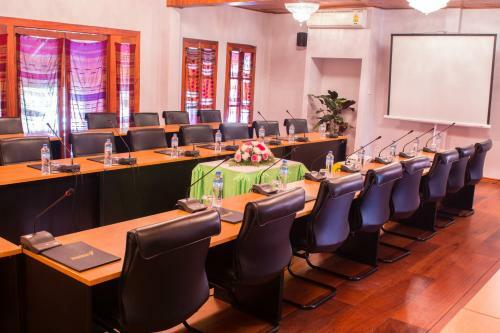 The hotel’s restaurant features a menu offering fresh seafood, international delights and local favourites. Room service is also available.